The Western Hotel is located on the main intersection of Balmoral, on the western corner of the former Adelaide and Melbourne Roads. The hotel, in different forms has been located continuously on this site since the 1850s, although the present building dates from the Interwar period. In October 1890 the Western Hotel was the scene of a riot which reflected the grave tension between squatters and shearers which had led to the great Shearing Strike, and subsequently the founding of the Australian Labor Party. The hotel is a single storey rendered brick building in the Art Deco style and with a typical pub form. The interiors include a public bar on the corner, a saloon bar which opens off the main hall and beyond that a formal dining room. A separate timber bedroom wing extends towards the rear. It dates from the same period as the main wing and includes simple Art Deco details. The framed plate glass pub doors appear to be the originals, dating from the Interwar period, but the windows have been modified. The architect and builder are not known. The rival Squatters' Arms Hotel on the opposite corner was established by 1851 but was delicensed in 1920 and burnt down in 1962. The increased trade from its monopoly trade may have financed the redevelopment of the hotel in the 1930s. The Western Hotel is in good condition, and retains a good degree of integrity to the Interwar period on the exterior, although the interiors have been substantially altered. 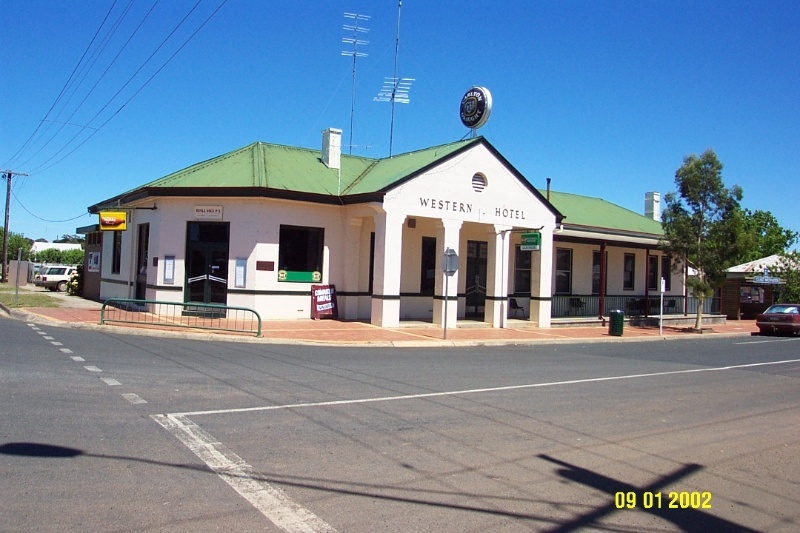 The Western Hotel is of architectural and historical significance to the township of Balmoral and the Southern Grampians Shire. 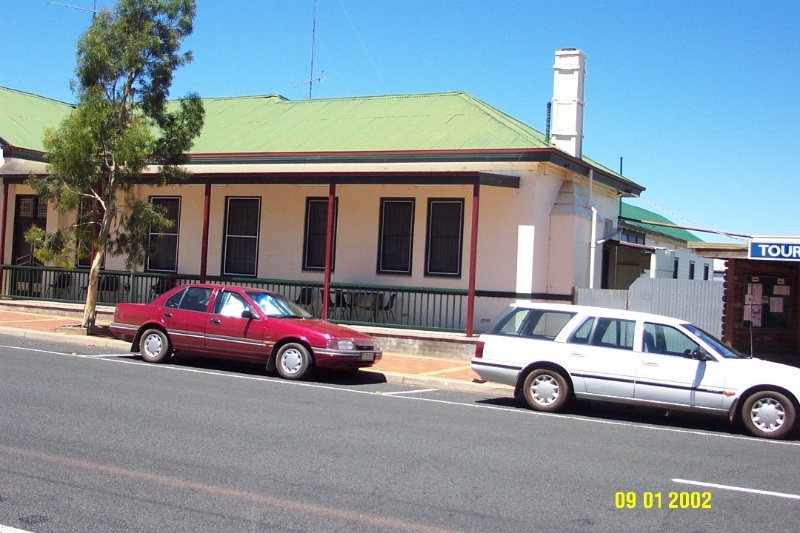 The Western Hotel is of historical significance, for its function, as one of the earliest beginnings of the township of Balmoral and as the town's only hotel since 1920. It is of historical significance for its association with the squatter, Robert Officer, one of the most important people in early Balmoral. It is also historically significant as the scene of a riot associated with the Shearer's Strike in the late nineteenth century. The hotel is of architectural significance as a typical example of an Interwar pub. The present Art Deco building, probably financed by increased trade after the rival Squatter's Arm closed, represents more than half the history of the place. The building is in good condition. The present building is a single storey rendered brick building with a typical pub form. The corner is canted and has the door to the public bar. The main door is on the north-west elevation under a substantial portico which extends over the footpath. The roof is hipped and covered in corrugated iron. While the timber framed plate glass doors appear to be the original, the windows have been modified. The interior, typical in its planning, is much altered. As well as the public bar on the corner, there is a saloon bar which opens off the main hall and beyond that a formal dining room. A bedroom wing extends towards the rear. New toilet facilities have been built along the Stirling Street elevation. Good degree of integrity externally to Interwar appearance. Fair degree of integrity internally.